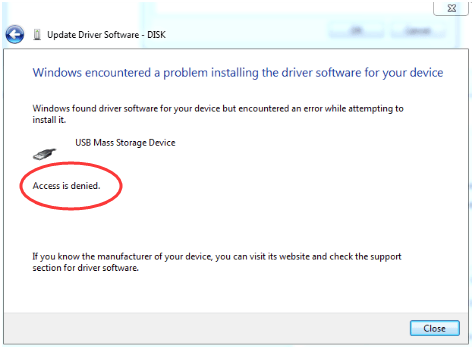 If you can’t install any new USB devices due to error “Access is denied”, it can be frustrating. But don’t worry, here you will find the solution to fix the problem. First, make sure that you login to computer as Administrator. 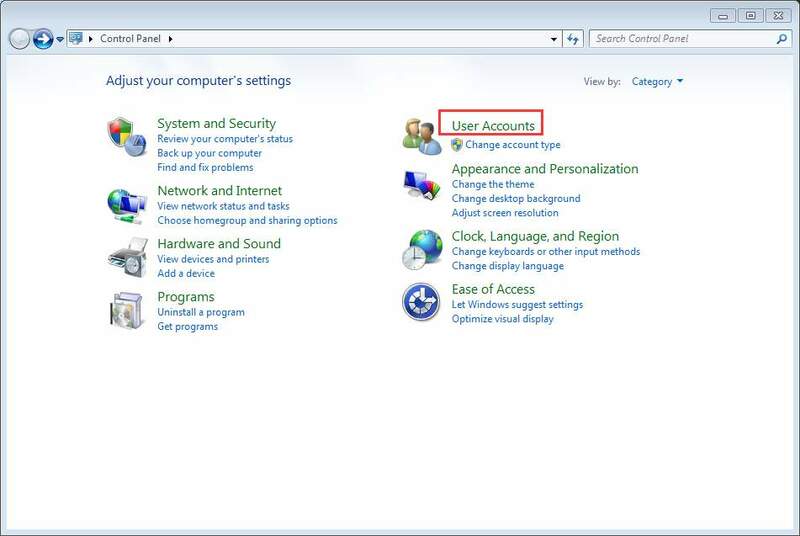 If you are not logged in with Administrator, follow steps below to switch it to Administrator. 2. Click Change your account type and enter your password if necessary. 3. 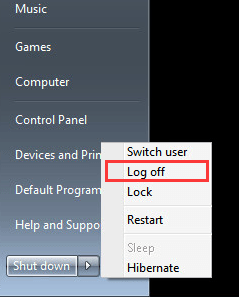 Then click Start button and choose to Log off of Windows, and then log back in again. After that, reinstall the driver again. If you are using an Administrator account and the problem persists, turn off any antivirus and anti-spyware program temporarily. This will work if the update is blocked by these program. If the problem could not be resolved, the USBSTOR registry key most probably has denied access to SYSTEM account. 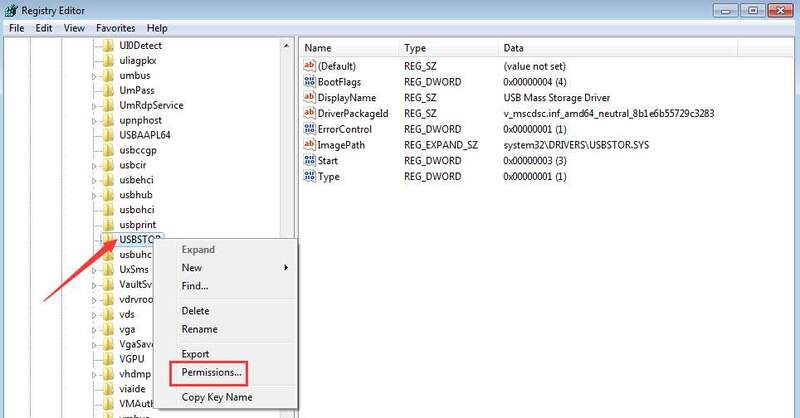 Follow these steps and give permission to USBSTOR registry key. 1. Press Win+R (Windows key and R key) at the same time. 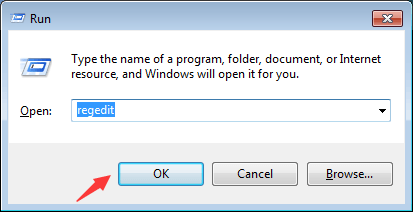 A Run dialog will open. 2. Type regedit in the run box and click OK button. 3. Go to HKEY_LOCAL_MACHINE\SYSTEM\CurrentControlSet\Services\USBSTOR. Right-click on it and select Permissions… from the context menu. 4. Select SYSTEM from the Group or user names. 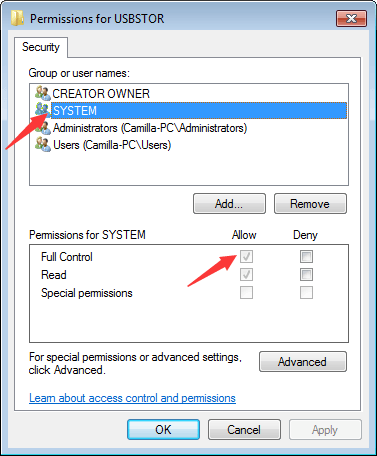 In Permissions for SYSTEM section, make sure the Full Control Allow checkbox is checked and uncheck any Deny checkbox. Click Apply button to apply the changes. Also check your user account and see if it has full control of the system and any deny checkbox is unchecked. After that, update the USB driver again and it should work this time. You can update drivers manually, but it could take forever. You can also update drivers through Windows Update, which may fail to provide new drivers. If you want to update drivers more easily and successfully, you can consider using Driver Easy to update the driver automatically, which can scan your computer and detect all problem drivers in 20 seconds, then give you a list of new drivers. Click here to download Driver Easy now. Driver Easy has Free version and Professional version. Both versions can be used to download drivers automatically. But with Professional version, you can even update all drivers with 1 click. No time is wasted. More importantly, you will enjoy Free technical support guarantee and money-back guarantee. You can ask for further assistance regarding any driver issue. And you can ask for a full refund for any reason.